CircularProfileAvatar is a Flutter package which allows developers to implement circular profile avatar with border, overlay, initialsText and many other awesome features, which simplifies developers job. It is an alternative to Flutter's CircleAvatar Widget. Implemented properties like borderColor,borderWidth, backgroundColor, foregroundColor, onTap, elevation, initialsText. line 3 col 8: Unused import: 'dart:async'. 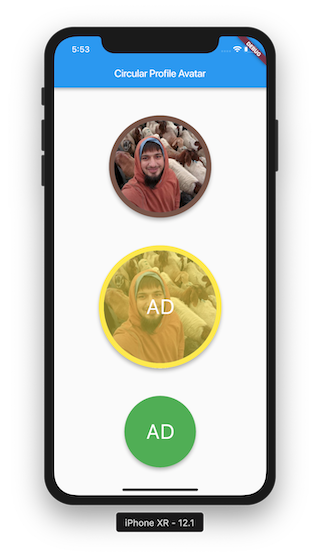 CircularProfileAvatar allows developers to implement circular profile avatar with border, overlay, initialsText and many other features which simplifies developer's job.